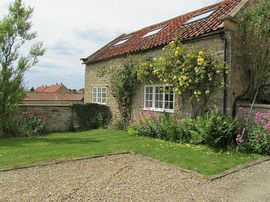 Maple Cottage is a four star holiday cottage situated in North Yorkshire. 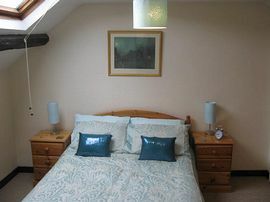 The cottage is tastefully furnished to provide welcoming holiday accommodation for up to six guests. The open plan living area, with well appointed kitchen, gives a spacious yet comfortable feel. The private walled courtyard is equipped with garden furniture and barbecue. The open plan living area, which includes a lounge, well appointed kitchen and dining area, gives a spacious yet comfortable feel. The private walled courtyard is equipped with garden furniture, barbecue and bike store. Situated on the edge of the charming village of Ebberston with its own welcoming pub/restaurant which is yards from the cottage. Just off the A170 between Pickering and Scarborough, it is the ideal touring base for the North Yorkshire Moors, the historic city of York and the Yorkshire Coast. Dalby forest is situated just a few miles away with its walking and cycling trails. The nearby village of Snainton has a post office, store and riding centre. 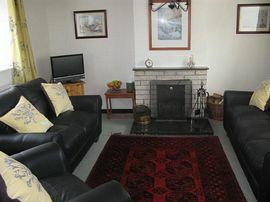 Spacious lounge with open fire, comfortable seating, Freeview TV, Radio/CD player and DVD player. 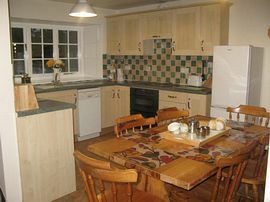 Dining kitchen with electric hob and double oven, fridge freezer, washing machine and dishwasher. 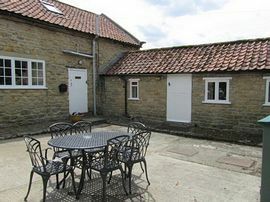 Twin bedroom on the ground floor with its own exterior door being ideal for disabled access. Ground floor shower room. One double bedroom, one twin and bathroom on the first floor. Bedlinen, towels, gas central heating and electricity included. Private courtyard with barbeque and furniture. Parking for several cars. Cot and high chair provided if required. Private courtyard and garden with parking. Take the A64 to Scarborough, round the south of York. Follow this road until you reach the A169 signposted Whitby and Pickering. You will enter Pickering and at the roundabout (Forest and Vale hotel on your left,) turn right onto Eastgate (A170 to Scarborough). Continue towards Scarborough to Ebberston about six miles past Pickering, Maple cottage is on left a few yards past the Main street (on the right).